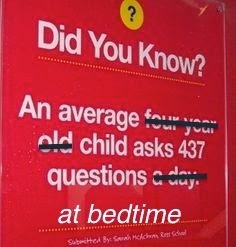 In my house, bedtime is bittersweet. Even though I want my son to go to sleep, the lengths I have to go to make that happen are painfully ridiculousness. For today's installment of Top 10 Tuesday, I thought I would share the, Top 10 Ridiculous Things I Do At Bedtime To Get My Kid To Sleep. 1. 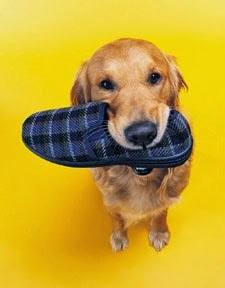 Retrieve more things than a dog. It never fails that the minute I get my toddler in bed, he needs water, Mr. Giraffe, Mr Penguin, Brownie the Horse, his red blanket, more water... And like a dog, I fetch every single thing just too keep him in bed. 2. Read 4million books. Even though I say, "Only two books. ", my kid must hear, "Bring me as many books as you can carry." 3. Survive a sleeper hold. When I get up to leave, my son takes the opportunity to put me in a choke hold hug and beg me to stay. 4. Play twenty (thousand) questions. I'm pretty sure my kid banks his questions throughout the day then pulls them all out at bedtime. 5. Make empty promises. I will promise the moon and stars to get my son to go to sleep. Yep, I'm THAT mom. 6. Play Dead. After answering every question fathomable about farts, cars, and play doh, I play dead hoping boredom will induce sleep. Nine times out of ten, he pokes me in the eye to see if I'm really asleep, then starts asking more questions. 7. Ohmmmmm gonna lose my mind. 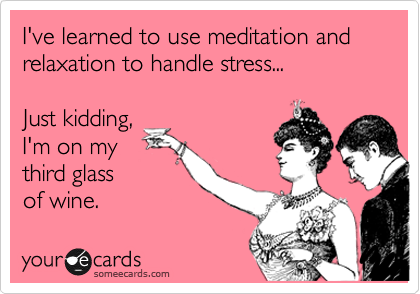 While playing dead, waiting for my toddler to loosen his death grip and fall asleep, I try to meditate. Think: Find my happy place. 8. Channel a Navy Seal. After breaking out of Alcatraz sneaking out of bed, out of fear I've stirred the beast toddler, I crawl out of his room like I'm on a covert operation. 9. Fall gracefully. It never fails the second I make it out of my kid's room, in the dark hallway I trip over the cat, kick a fire engine, step on a shoe and slip down the first stair trying to avoid a Hot Wheel. 10. Rinse Repeat. Multiple times. Every night.